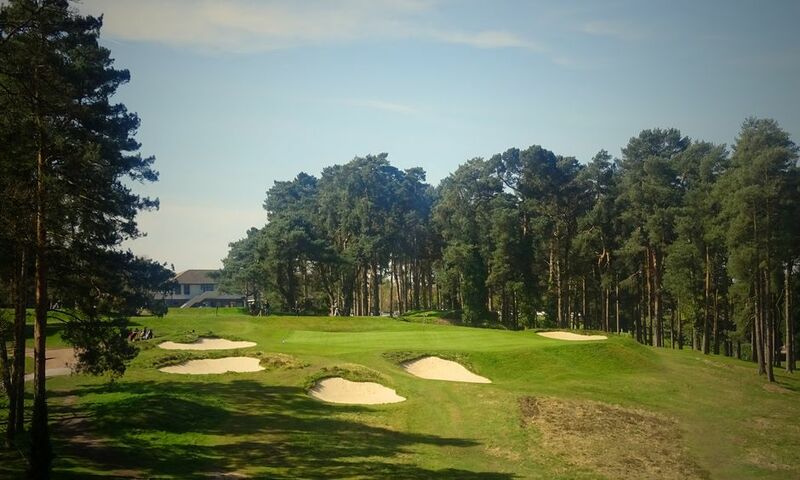 On Monday 24th October, close to eighty golfers descended on Camberley Heath Golf Club in Surrey for the 7th Golf Monthly Forum charity day in aid of Help for Heroes. It has grown rapidly since it's conception and is now without doubt the most eagerly awaited date in the diary for everyone connected with the forum (Golf Monthly Forum). The day has always been supported by Golf Monthly magazine and once again Mike Harris, the editor, was in attendance with others from the magazine and as always had been generous with his time and supplying some wonderful auctions to be sold off in the post-golf auction. This charity day was the idea of Rick Garg, He was a forum stalwart, fine golfer and family man and as I've mentioned before he was sadly taken, far too soon, suffering a massive heart attack while playing his home club, Centurion, in Hertfordshire. It left a huge void on the forum and everybody connected wanted to not only pay their respects to him via the day but to raise as much money as possible for a cause so close to him. Along with Rick, his close friend Richard Hart, had been the mainstay of organising this and each of the previous days. With the sad loss of Rick, he needed a new right hand man. Step up Robin Hopkins, who had been connected in the past by arranging some brilliant auction items that had raised lots of money for the charity. 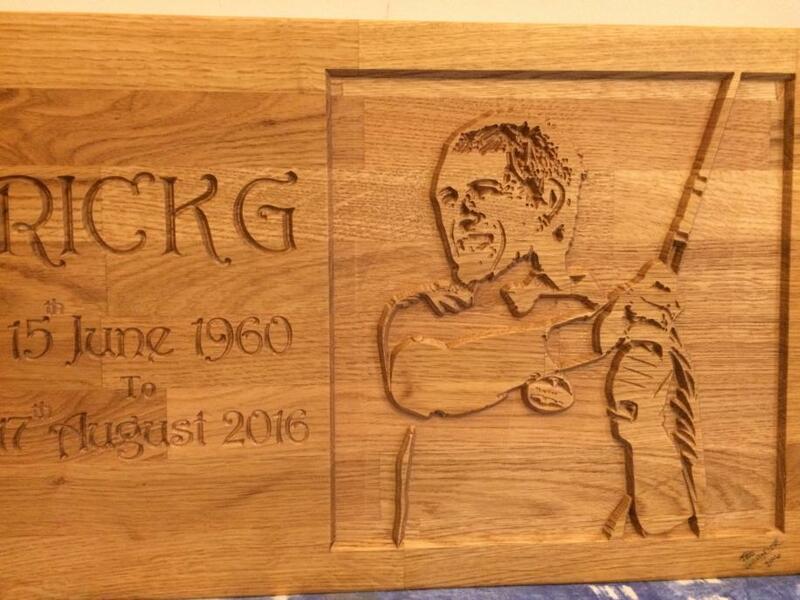 He has stepped up, got stuck in and stood shoulder to shoulder with Richard and together made sure no detail was left unattended to make it a perfect day for both the charity and as a fitting send off for Rick. These guys are regular blokes with their own jobs and family life yet each of them has given their spare time tirelessly to make each and every one of these charity days a roaring success. This year, I'd placed a bid on the forum auction page to play with two special guests, Rick Shiels and Peter Finch. Both are Golf Monthly top 25 coaches and both have a massive social media presence, especially on You Tube and Facebook as entertaining and innovative golf professionals using the internet to bring tips, advice, reviews and features to the general golfing public. There were rumours they were going to film our exploits for one of their vlogs but even without this, it was a chance to watch two fun, sociable professionals close up. Both are trying desperately to qualify for the 2017 British Open and both are doing Quest for the Open videos on their You Tube channels and both channels are well worth a look. The rumours of filming were true, although there were some technical issues at times. 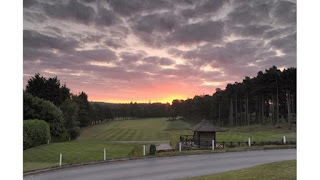 Peter Finch has recorded it as part of a bigger piece and so if you want to see four hours condensed into four minutes please look here Camberley Heath Golf Monthly Forum Day but be warned, some of it isn't pretty. "A good drive down the left is required to accommodate the left to right sloping fairway and give you a view of the green. Avoiding the large bunker on the right, a low approach is favourable as ball pitched short will find the green"
My opening drive was a nervy affair, which I am putting firmly down to the camera being on me and being in the presence of both Rick and Peter, (plus another four ball waiting to tee off after us). It faded, ok, sliced right towards the trees level with the bunker but as luck would have it, was spat out and landed on the cart path giving me a shot around the dog leg. One piece of good luck was swiftly offset by some bad as the recovery shots bounced right off the sloping contours, kicked right off the path into some deep heather. A pitch out, three nervous stabs and I'd posted an opening double bogey for a single point. It took until my third hole (the second on the course) which is a glorious par three, played uphill to a three tiered green to finally play a good shot and look like a golfer. The flag was situated on the top tier, back left as you look at the picture below. Playing a fraction over 140 yards, I clubbed up to a five iron and struck it well. It pitched on the second level, thought about holding on, and then rolled all the way back to the front right of the green leaving a horribly long putt of some 40 feet up two levels. In the end I did well to get it to within six feet and managed to somehow convert the par putt. From there on, it was a case of some good, some bad until we came to the sixth hole, another gem, a short par four of just 271 yards. I found the first left hand bunker off the tee and faced a bunker shot over the heather covered bank to a flag tucked away back left. I hit a wedge. It was a peach to three foot that drew a round of applause from both professionals and a nod of encouragement from Steve, my fellow Golf Monthly Forum Member making up the four ball. Peter Finch, my partner made his birdie and I followed him in. As you can see below, having come off back to back birdies, my partner was in fine form and despite feeling terrible with a bug, was playing some wonderful golf. He was terrific company, and both Peter and Rick were very open with how amazed they were with the way their Youtube channels have grown and grown, the huge opportunities this has generated for them, their "Quest for the Open" bid (check their specific videos charting progress to date) and their new teaching facility Quest Golf nearly Burnley in Lancashire and how they hope to build their reputation as teaching professional in this innovative new location. 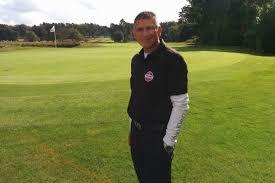 I played the front nine of Camberley Heath one under handicap to go out in 19 points and was chugging along nicely. I'd made double at both the seventeenth and eighteenth meaning I was still chasing a net birdie to get back to an even keel. It wasn't to be. 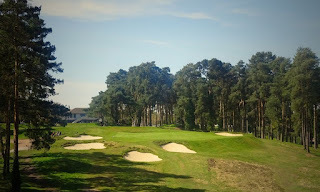 I seemed to find many bunkers around the greens and although my sand play was in fine fettle I was squandering chances. I made a good birdie at my penultimate hole, the fifteenth, hitting a fine drive and pitching to two feet from 87 yards for a simple tap in three. Unfortunately it wasn't a shot hole and by that time I was a couple adrift of where I needed to be. In truth I made a real mess of our last hole. The back nine had been tough for me and I scored 32 points in total to finish mid-table in 28th place. After all the golf was done, we were treated to a great meal before perhaps the highlight of the day, the charity auction. This is hugely supported by many of the manufacturers, Golf Monthly, and by the forum members who generously arrange games at many prestigious courses up and down the country. It makes a substantial amount towards the overall total raised. This year, with money still coming in for the auction bids sold, the day itself has already raised over £12,000 for the Help For Heroes Charity. There was one final award on the day. A special RickG award given to someone that had supported the event. 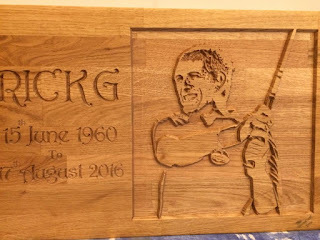 It was carved from oak, based on a photo of Rick Garg and went to a magnificent lady called Sandy Catford who is a driving force at Go Kart the makers of a British built golf trolley http://www.gokart.co.uk/ She has often been the only lady playing on this day, a rose amongst so many thorns, and she and her company have been tireless supporters from the beginning. It was a complete shock to Sandy, who did well to fight back tears, but in her acceptance speech, she summed Rick and the nature of the man up perfectly. "What a bloody legend." A fantastic sculpture, and the worthiest of winners. The Golf Monthly Forum itself is a fantastic melting point to discuss all things golf and non-golf related and if you're interested in getting involved and playing in next year's event, it is the place you need to be to be able to sign up. Join up, get involved and I'll see you next year to raise even more money for a great charity.